Today’s wise man and fully stocked camel are part of Playmobil set #4886 and can be viewed/ordered here. 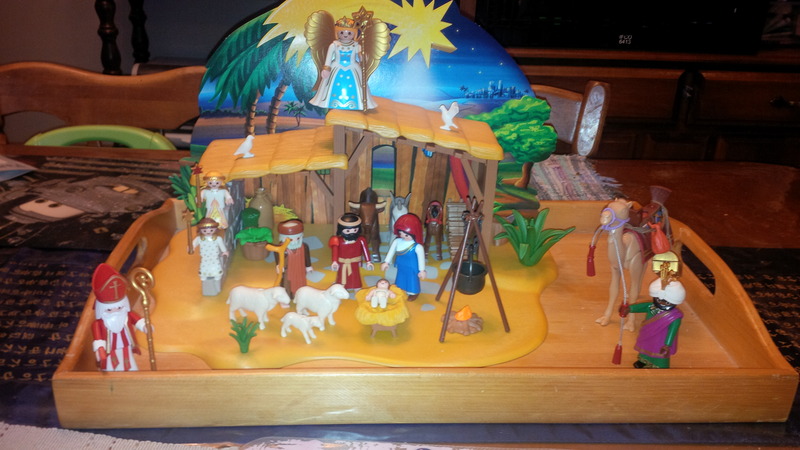 Playmobil has once again demonstrated their theological astuteness by making the wise men a separate package. It might even be smart of me to not bring them out until after Christmas or even to hold off on buying the package until a few years after starting the tradition. The Magi are still a part of the story, and now that Jesus is here, the celebration continues. The first of three racially distinct wise men comes with a fully loaded camel, included a chest full of gold coins. We won’t tell the kids that there are loose coins in that chest, because if we did, they wouldn’t survive Advent.